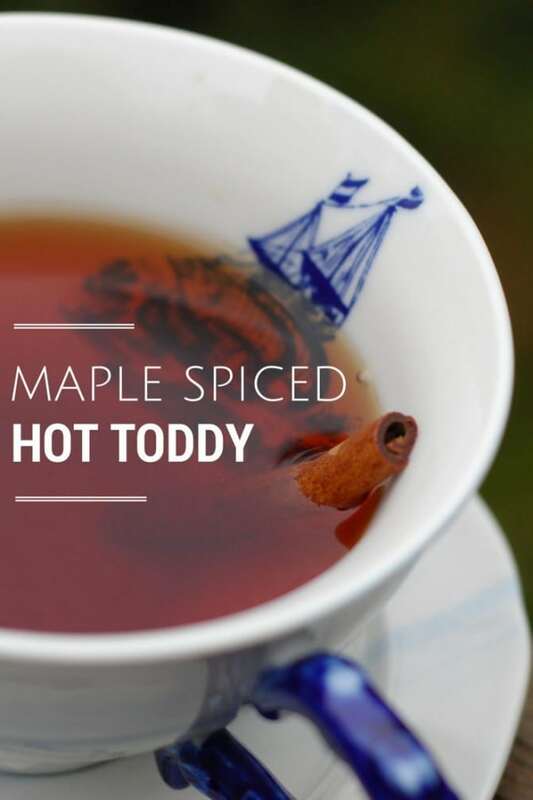 Home » Drinks and Syrups » Maple Spiced Hot Toddy – Perfect for Fall! I have to warn you that there is some gratuitous tableware in this post. Steampunk type things draw me in and that means lots of octopi (Octopuses?) and Krakens, not to mention goggles and crafty things. I got these dishes at Anthropologie last year. While they aren’t exactly for day to day use, I immediately fell in love with them. My favorite part about the cup is the octopus suckers on the handle. 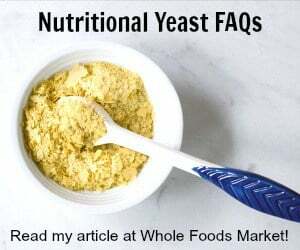 Okay, enough about my dish fetish and on to the real reason you’re here – a new recipe. This one is for a warm, cozy drink for fall. While summer seems to be holding on as tight as it can, sitting out on the deck last night I could feel a slight chill in the air. You’ll find it so easy to brew up a tasty toddy. It’s just spicy tea mixed with some bourbon and maple syrup. If you’re coming down with a cold I’d suggest adding the optional lemon juice. You should feel free to add the liquor you have a taste for and I would strongly suggest trying it with some rum. Maybe try a little Kraken Black Spiced Rum, it’s gluten-free, vegan, delicious and it has a Kraken on the label! You need a few warm drinks that are as easy to make as they are to drink. This toddy has the traditional bourbon, plus warming spices and maple syrup. 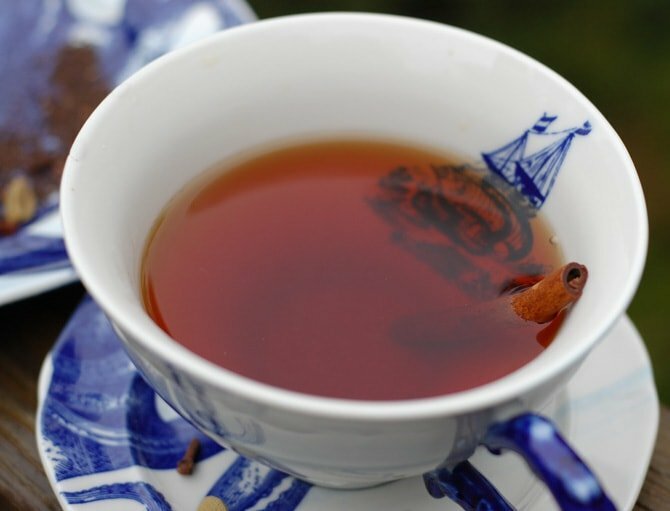 Place the cardamom, allspice, clove, and cinnamon in either a large metal tea ball or small muslin bag. Add the spices and water to a saucepan and bring it to almost a boil, then turn heat to low and simmer for 5 minutes. Remove the pan from heat, leaving in the spices, and add the black tea (in a different tea ball) and steep for 4 minutes. Remove the spices and tea. Stir in the bourbon and maple syrup and pour into mugs. Add a squeeze of lemon if desired. Double or triple the recipe and save any extra spiced tea in the fridge for later. Place the cardamom, allspice, clove, and cinnamon in either a large metal tea ball or small muslin bag. Add the spices and water to your 3 to 4 quart slow cooker (or in your 1 1/2 quart if you are not doubling) and cook on low for 7 to 9 hours. Add the black tea (in a different tea ball) and steep for 4 minutes. Remove the spices and tea. Stir in the bourbon and maple syrup and pour into mugs. Add a squeeze of lemon if desired. 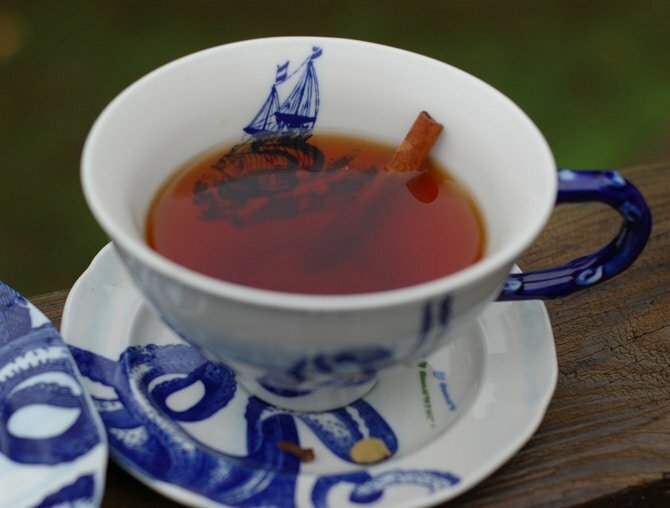 If you don’t have a tea ball or muslin bag, add the spices and loose tea directly to the water. When the tea is brewed pour through a fine mesh strainer into a metal bowl or teapot to strain. Stir in the bourbon and maple syrup as above.